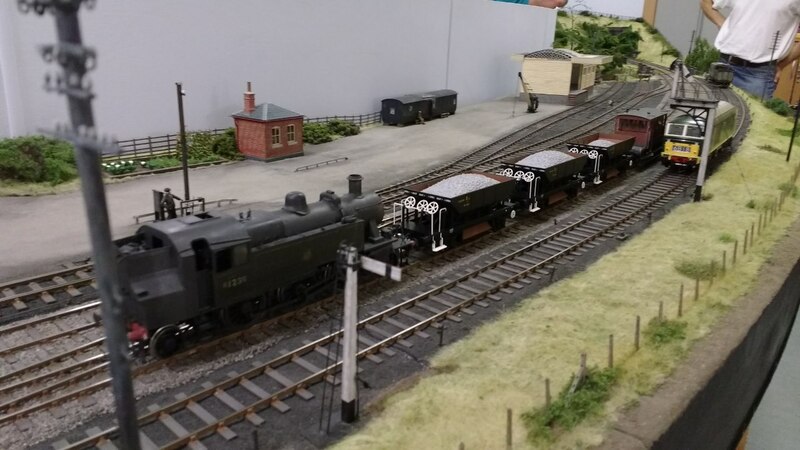 The club was started by our president who placed an advertisement in the Railway Modeller magazine. Several people responded, some of whom are still members today and a meeting was held in his front room one cold winters evening in 1984. Soon after this, a hall was found in Hayes and the club started to meet on a regular basis. Plans were drawn up for our very first club layout ‘Brent Road’ which was to be in OO scale and based on the G.W.R. circa 1930. A couple of years passed and the limited storage facilities offered by the hall in Hayes had led to problems and so a move to Yiewsley Baptist Church Hall in West Drayton was implemented. The facilities here being far superior than our previous residence. 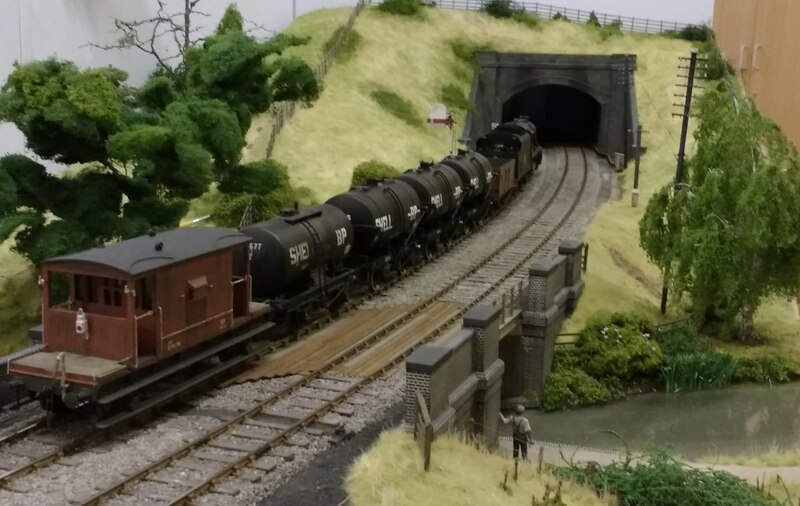 Our younger group constructed a Modern Image locomotive depot layout called ‘Westfield’ and a start was made on our first venture into O gauge, a fictitious Somerset and Dorset branch terminus called ‘Compton Abbas’. At the same time a small group with an interest in railways across the pond constructed an American ‘HO’ layout ‘Drayton West’, a reversal of the town where we meet. We have between 25 and 30 active members. 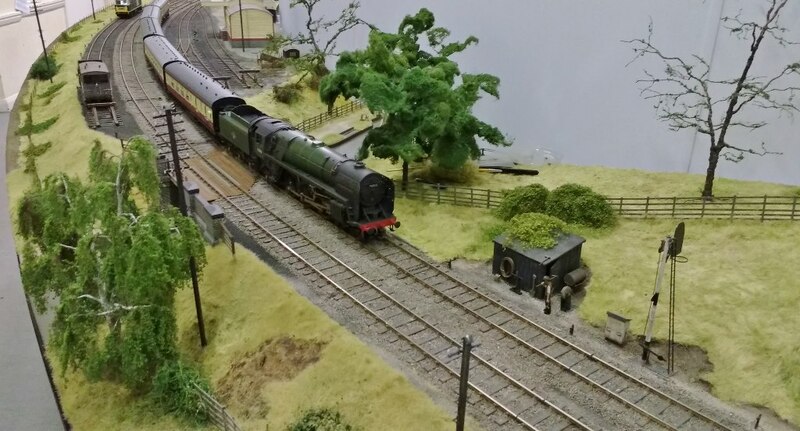 Our current exhibition layout, ‘Grindley Brook’, is still under construction and replaced ‘East Dean’ which had been on the exhibition circuit from 2001-2012. 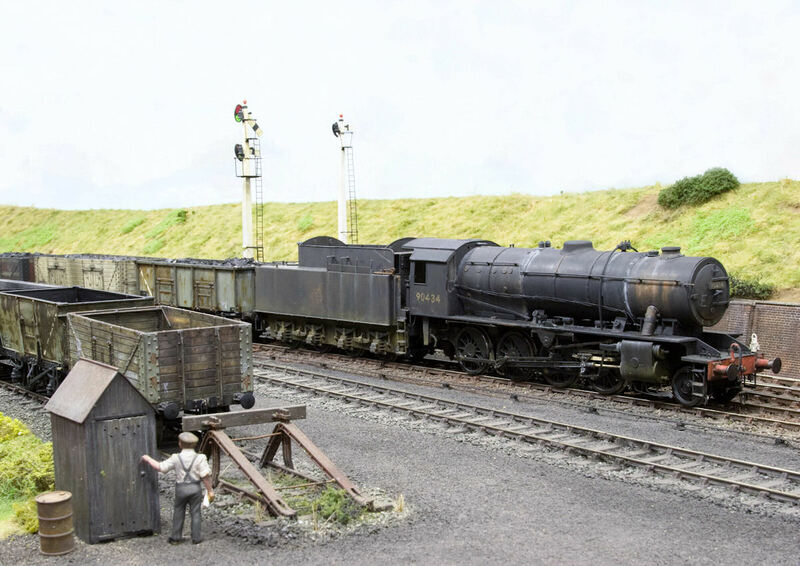 (‘East Dean’ replaced ‘Compton Abbas’ that retired from the exhibition circuit after eight years). Our ‘O’ gauge test track (with four independent running lines, each with a passing loop to allow another train to be assembled) is fully operational and can accommodate DC and DCC fitted locos and under construction is a new ‘O’ gauge layout. In ‘OO’, work has just commenced on the planning stage of a new layout. Our OO test track (with four independent running lines and one On3/O16.5) can also be operated with DC and DCC equipped locos. In addition to our weekly Thursday night meeting, we have an occasional Saturday ‘working’. This, being twice as long as our evening meeting means we are able to achieve a great deal and much tea drinking takes place. Loco kits, designed by one of our members, have now been completed and really look great. They’re for the W.D. 2-8-0 and 2-10-0 Austerity’s and have been designed from the works drawings, with lost wax fittings from patterns by Laurie Griffin. The kits can be purchased through Roxey Mouldings. 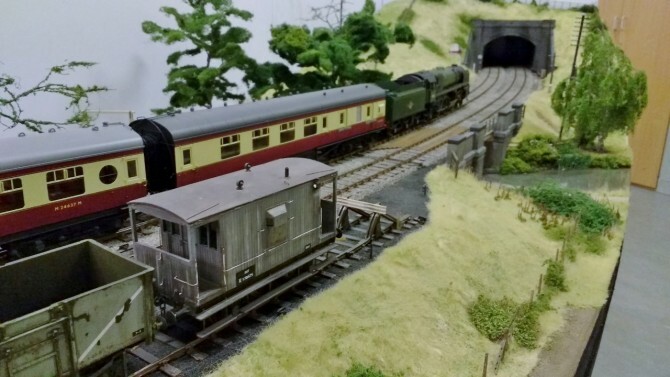 On the social side, we attend exhibitions with our layouts and enjoy the occasional day out to places of railway interest. To find out more, contact Club Secretary Tony E-mail. If you’re interested in becoming a member, like most clubs, we have some rules. These are available in the attached pdf document. Address: Yiewsley Baptist Church Hall (side entrance), 74 Colham Avenue, Yiewsley, Hillingdon, London UB7 8HF.